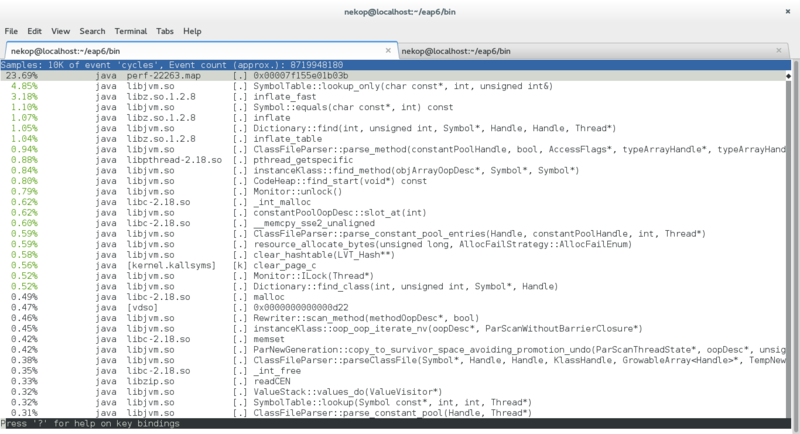 Using /home/nekop/usr/local/jboss-eap-6.2.0/bin/oprofile_data/samples/ for samples directory. warning: /no-vmlinux could not be found. warning: [vdso] (tgid:25791 range:0x7fff2a5fe000-0x7fff2a5fffff) could not be found. Xlib:  extension "XInputExtension" missing on display ":0".